An exciting event you don’t want to miss! Spend the day with the Antenna Measurement Techniques Association listening to top experts present the most recent developments in the industry. Arrive a day early so you can plan to join us as we take a tour of the MAX IV Laboratory. Opened in 2016, MAX IV is the next-generation synchrotron radiation facility in Lund, Sweden. Including two storage rings and a full-energy linac, MAX IV will be the brightest X-ray source of its kind in the world. Transportation and tour is included in the price of registration. There will also be an exhibition by vendors of test and measurement related products and services for antenna and wireless applications in the technical presentation area. Lund is a small, attractive city that’s overflowing with history and charm. 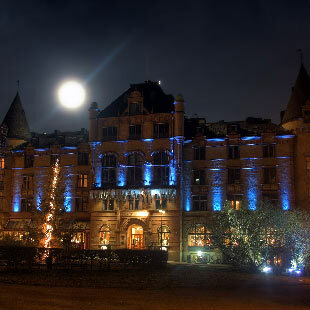 Although the city is old and believed to be founded in 990 when this was a part of Denmark, Lund is thoroughly modern. It’s here that the huge ESS super-microscope is being built, which will allow scientists to perform multi-disciplinary research using the world’s most powerful pulsed neutron source. 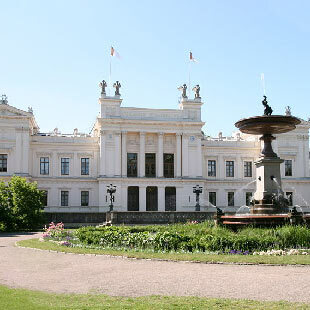 Lund University was founded in 1666 and it remains one of the country’s largest and most respected places to study, with over 40,000 students – many of them international. This, combined with the abundance of classic university buildings and carefully preened parks, makes Lund feel like a Swedish version of England’s Oxford. From cozy B&Bs to luxurious hotels, there are some great places to stay within walking distance or a short bus ride to the University. But there is not a surplus of accommodations, so it’s best to make your reservations early!